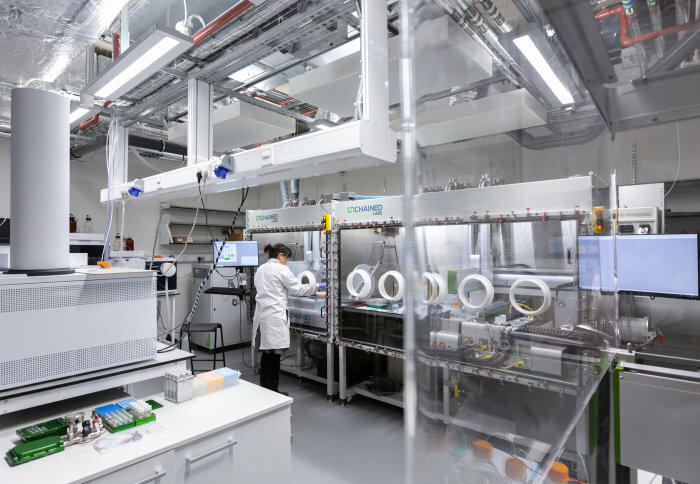 ROAR is the flagship Research Facility for the Dial-a-Molecule Grand Challenge, which aims to make the synthesis of any desired molecule ‘as easy as dialling a number’. ROAR was established with £2.8m in funding from the Engineering and Physical Sciences Research Council (EPSRC), £1.1m from Imperial, and £774,000 from industry in money and equipment. 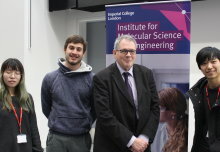 Launched on 30 January, the Centre is based in the new Molecular Sciences Research Hub at Imperial’s White City campus. Finding the right way to synthesise new molecules with desired properties, such as potential medical drugs or novel materials, can take a long time, sometimes years. This is because synthesising molecules can take many complex steps, each of which needs to be optimised by finding the best conditions – such as temperature, pressure and length of time for the reaction. Identifying optimum reaction conditions requires many experiments to be run under a range of conditions. This can often take years and mean the final molecule is a compromise – the easiest to make molecule with acceptable function, rather than being the best for the job. The availability of high-quality and reproducible data will also enable future developments in machine-learning and AI in the chemical sciences.